The Murrieta II Fitness 19 club offers spacious workout areas with the latest exercise equipment, allowing members to work out alone or with workout buddies. But there are times when a more structured workout in a large group with an instructor provides extra motivation and guidance. The Murrieta club, located at 39530 Murrieta Hot Springs Road, offers a complete schedule of classes that challenge members in a variety of ways. Classes are offered from 5 a.m. to 8:15 p.m. Monday through Friday, and additional classes are available on Saturday and Sunday. Class schedules always are posted in the club and on the Fitness 19 Murrieta II Facebook page. On top of all that, the club is open 24/7 to meet any and all scheduling needs. In addition to their flexible times, childcare is also provided. “I love their childcare center! It makes it super convenient for a new mom like me to get rid of this ‘mom bod.’ All of the workers are really good with my son - who can be quite a handful!” raved Bayleigh Cebula, a long-time member of Murrieta Fitness 19. So whatever your busy days look like, everyone has plenty of time to get in a private workout on the machines or jump into a class, no matter what the time. 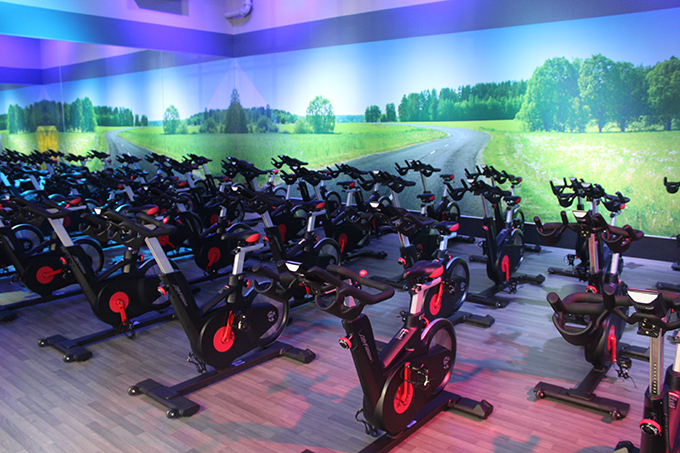 One of the most popular classes is the group cycling class, which is designed for people of all fitness levels. If you want a great cardiovascular workout with a variety of cycling drills, this class is for you. Cycle classes are taught as early as 5 a.m. during the week, but they aren’t the only classes that will give you a great cardio workout. Kickboxing is a great cardio workout combining kicks and punches. So is Sculpt, which uses intervals of cardio and strength training. And of course those fun dance classes test your body in a variety of ways. The Hip Hop class is a great calorie-burning workout set to Hip Hop music. The club also offers three kinds of Zumba classes. This dance workout can be done by anyone and incorporates Latin, Hip Hop and belly dancing moves. The Zumba Tone class incorporates weighted toning sticks into the workout. If you want more of a relaxing, stretching workout, there are two kinds of Yoga classes offered. Another option is the TRX/Suspension class, which features a workout that supports gravity and your bodyweight to perform hundreds of exercises. 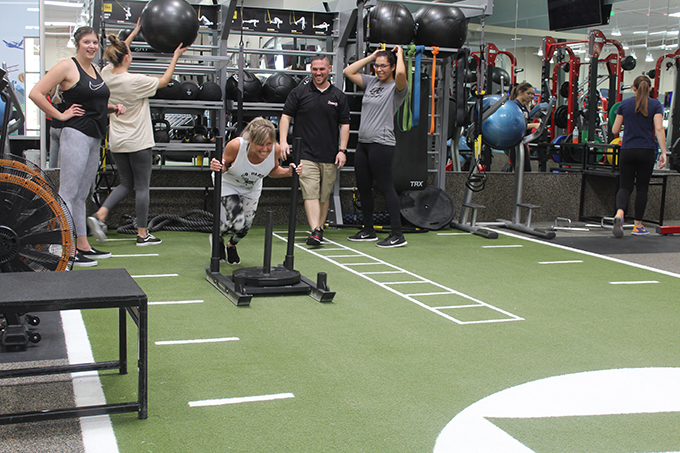 In addition to unbeatable prices, top of the line machinery, and handfuls of classes and personal training, the Murrieta Fitness 19 environment is what keeps members coming back. 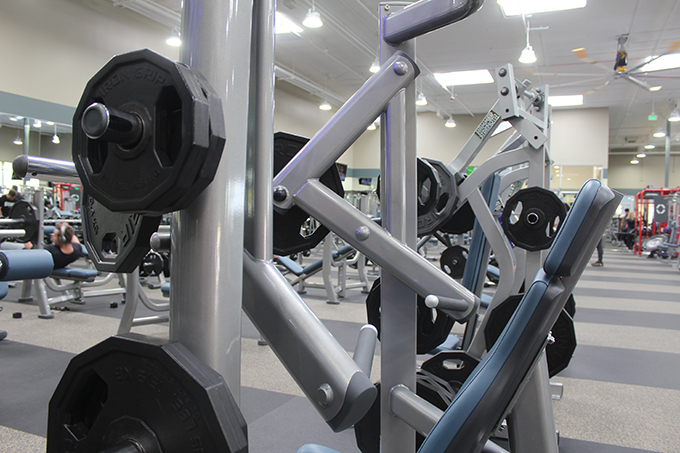 “This gym doesn’t make me feel insecure, or like people are judging me. I never feel overwhelmed. I rarely have to wait for a turn on machinery, and the staff is always really nice. They are welcoming and even remember the regulars!” says Cebula. So stop by Murrieta Fitness 19 and take advantage of the low prices and high quality gym today!